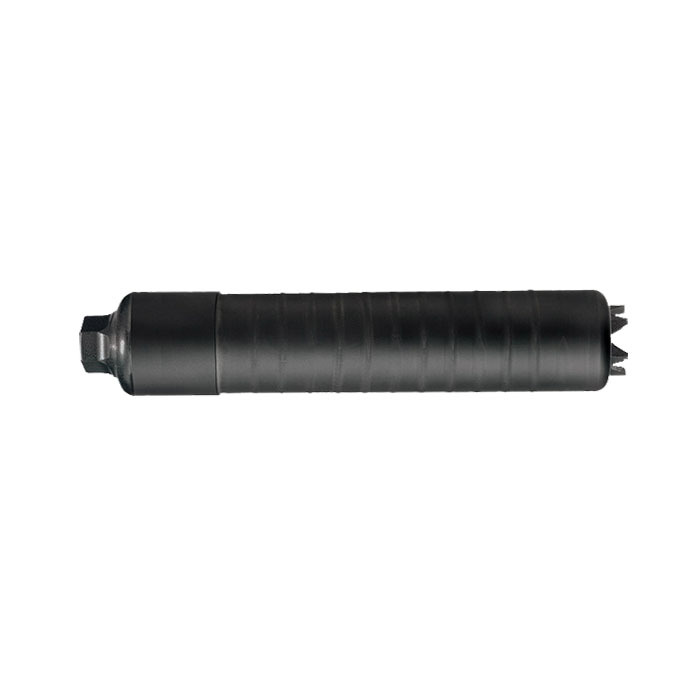 The Sig Sauer SRD762Ti is a Grade 5 Titanium direct thread suppressor. The rear mount has wrench flats to torque the silencer to the barrel. These wrench flats can be used as a location to "pin and weld" the silencer to make a shorter barrel over 16" in total length. The SRD762 is rated up to 300 Win Mag and any other rifle cartridges that are of equal or less projectile diameter, pressure and case capacity. Examples of this would be .204 Ruger, .223/5.56x45mm, 5.45x39mm, 7.62x39mm, 7.62x35 (300 Blackout) 6.5 Grendel, 6.5 Creedmoor, 6.8 Spc, .260 Remington and other cartridges. Utilizes the popular 5/8"-24tpi threads.